Join JR Automation in booth #1711 at AeroDef 2019 and experience our new RFSS Robotic Sortation System; an intelligent, patent-pending lean sorting system designed for aerospace kitting, warehousing and cataloging applications. Round, cylindrical, soft, hard, thin, thick or heavy – as long as your product can fit in our flexibly sized tray, we can sort it for you. Leveraging our proven success in assembly automation for the automotive industry, JR Automation has developed semi-automated lean assembly stations for the aerospace industry. 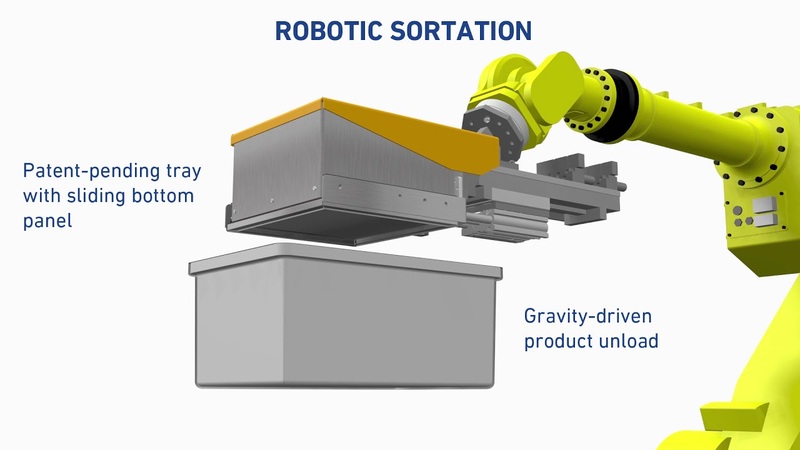 These revolutionary stations demonstrate the ability to use manual, semi-automated and fully automated solutions that can be used to assemble aerostructure sub components. Using standard work instructions on the HMI, along with intelligent tools and inspection equipment, the lean assembly station provides higher throughput with significantly less scrap. JR Automation’s Aerospace and Defense team looks forward to meeting with attendees to discuss emerging technologies, industry advancements, and specific customer projects. JR Automation is also pleased to be a Keynote and Networking Breakfast Sponsor at this year’s event. Click here for a full event schedule. Complete this form to register for a free pass to the show!